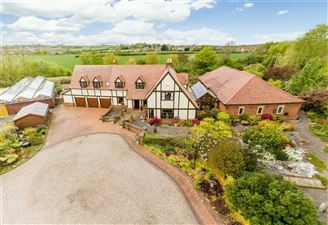 The current owners have taken one of Brigg's most prestigious properties and have invested heavily into creating a truly stunning family home set in extensive grounds with a lake and detached annex dwelling. 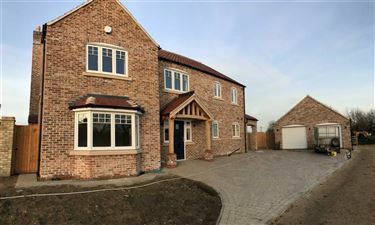 Several extensions, new electrics, windows, doors, plumbing, security systems, plastering, pointing and landscaping as well as numerous other works have been undertaken to a very high standard. The flexible accommodation in the main house currently has five bedrooms together with a sixth that has its own kitchen and was originally staff quarters. A highly respected local architect has been involved throughout the project to ensure that the character has been maintained but a modern feel added whilst taking full advantage taken of its position within the grounds and views of the lake. Positioned on the outskirts of the rural village of Appleby is this incredible opportunity of a characterful family home with business opportunity attached. The main property features plenty of spacious living accommodation across three reception rooms along with a modern kitchen diner and utility room. An attractive sun room offers views over the expanse of well landscaped gardens while upstairs, four well proportioned bedrooms with an en suite to the master and a family bathroom make it ideal as a family home. Across the courtyard from the main property is another entirely separate building currently used as a separate property with permissions to let out however would be ideal as an annex for those families that require their own space nearby. Equally it would make a brilliant home office or studio depending on the line of work. The outside space amasses approx. 2 acres and has been well maintained over the years. 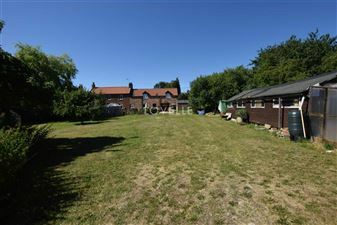 Bags of potential make this substantial property and gardens one that really needs to be viewed to appreciate all it has to offer each individual family. A five bedroom substantial detached house located in the popular village Scartho. Click for further details. 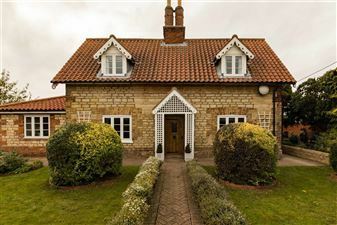 We are delighted to offer for sale this superb family residence set in stunning mature and well stocked grounds. Located in a sought after tree lined lane within the Town is this attractive 'Potton' timber framed property, which boasts spacious and well planned accommodation and must be viewed internally to fully appreciate what the property has to offer. welcoming entrance hall, cloakroom wc, lounge, dining room, study, sun room, breakfast kitchen, utility room, gardeners wc, games room, swimming pool, sauna, jacuzzi, changing rooms, five bedrooms, two en suite and family bathroom. Stunning landscaped gardens, triple garage and extensive parking. Two workshops and large greenhouse. 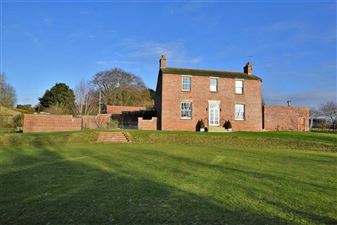 A wonderful, period, country residence in landscaped grounds of 2.5 acres. This updated home includes 4 bedrooms and 3 reception rooms, a range of period outbuildings including triple garage, work shop/games room, barn & former stables. Secluded position. Wolds village. Elevated southerly outlook. A truly imposing, unique design family home set in the desirable village of Scotter on a plot of approximately 3/4 acres of landscaped gardens. Lovingly maintained by the current owners to create a relaxed environment and quality lifestyle with a crisp design and versatile living space this four bedroom, four reception room property definitely has the 'Wow' factor. The pool room and annexe have the potential to be used as a separate business or indeed converted into a completely self contained multi generational living accommodation. Stylish refurbishment with a contemporary feel an early viewing is strongly recommended to appreciate all this executive family home has to offer.